A wedding is a ceremony for enjoyment not only for the couple, but also for the guests. It is enjoyed through various means like food, costumes, gifts and photos. But the most enjoyable part of wedding is the wedding dance. When the wedding vows are taken and time arrives for the bridal party, almost all the guests put on dancing shoes and head towards the reception to participate in the traditional wedding dances. Line dancing in weddings is popular since years because it gets all the guests included, to share the joy of the happy couple. As a norm, you may want to perform the best wedding dance at your wedding, for which you will have to practice a lot beforehand. 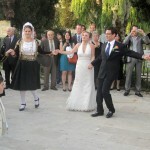 Wedding line dances encourage interaction among guests, let the party start and make it go on. 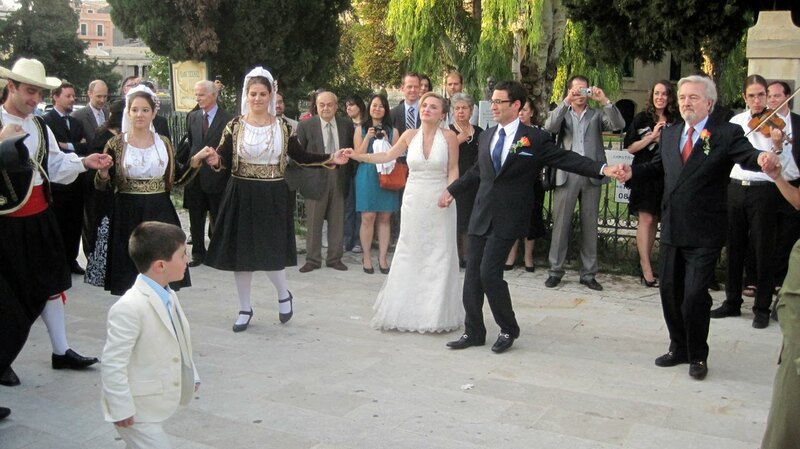 Some contemporary wedding dances are carried out with groups; however there is no connection with other people. The steps of the dances are performed in independent spaces throughout the dance floor. This style is also popular in case of country music. The most popular of all wedding dances is the Electric Slide. It comprises of left and right grapevine steps combined with back slide, a rock step, followed by a quarter turn. This is quite easy to learn and hence is the most popular and hardly any wedding is complete without it. Many options of wedding line dances open up for couples who have a Western-themed wedding. Country music goes extremely well with wedding line dance. Some of the most popular line dances and country music combinations are The Tush Push, Cotton-eyed Joe and Boot Scootin’ Boogie. The Cotton-eyed Joe is the best example of a line dance which is performed with a partner. Dancers travel on the dance area in a circle making polka stops and halt occasionally to give out standing kicks. If the reception involves primarily pop music, there are plenty of wedding dances on hip-hop music or rhythm and blues. Some of the most beloved are Macarena, The Cha-Cha Song, the Tootsie Roll and Strokin’. These are also performed in independent spaces in the dancing area. Some older wedding line dances that are enjoyed since years are The Hokey Pokey, the Chicken Dance and a Conga line. A Cong line is usually headed by the newly married couple with the remaining party catching on to the last person in the line and weaving around the dancing area. The Chicken Dance and The Hokey Pokey are performed in a circle, when guests can range out the dance steps on the other part of the circle. The wedding guests need not learn these dances beforehand because often the DJ or the band gives instructions. If not, don’t worry, as there are only two-three people who know the dances. You just have to join them and learn from them, right on the wedding dance floor.